I've not posted any updates about goings-on in this room since June! Of course you all know what that means -- nothing has been going on :) With new release season underway, I've finally started to look in here again and prepare for what's to come. I have just found your blog in the last couple of days and am very impressed with your work. As a beginner MOC builder it seems daunting to collect the huge quantities of bricks that you have in your collection used in your creations. Is there any tips you could provide as to how to get started other than using the Pick a Brick section at the store or on the site? 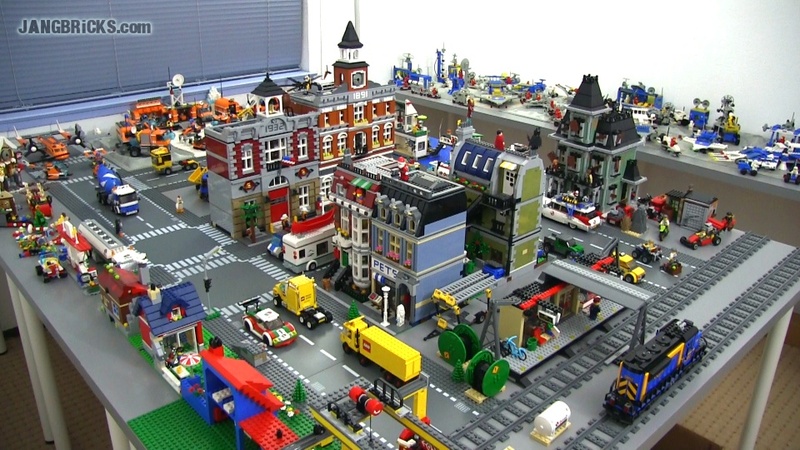 I know that I am not jang, but he has mentioned before that he uses bricklink...its a really, really cool site for collecting bricks separately, by the set, or both...you can even check out fellow mock builders as yourself, and talk among them in their forum! Its a really cool site, and I hope you find what you are looking for! Welcome to the community!